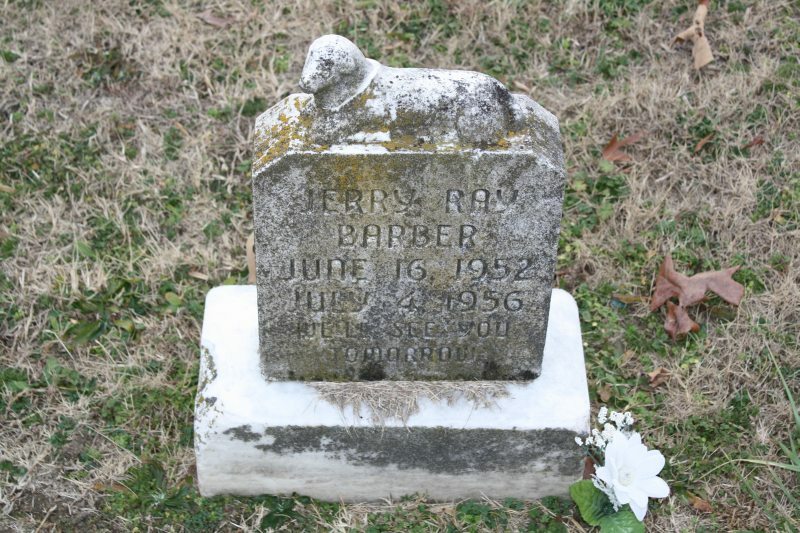 Jerry Ray Barber’s small grave marker sits in the Schoolfield Cemetery, one of the many tombstones on the grounds with the lamb motif. Seeing a marker with a lamb is a visual cue that buried underneath is the body of someone whose life had been cut short by disease or accident. Jerry’s death falls into the latter. 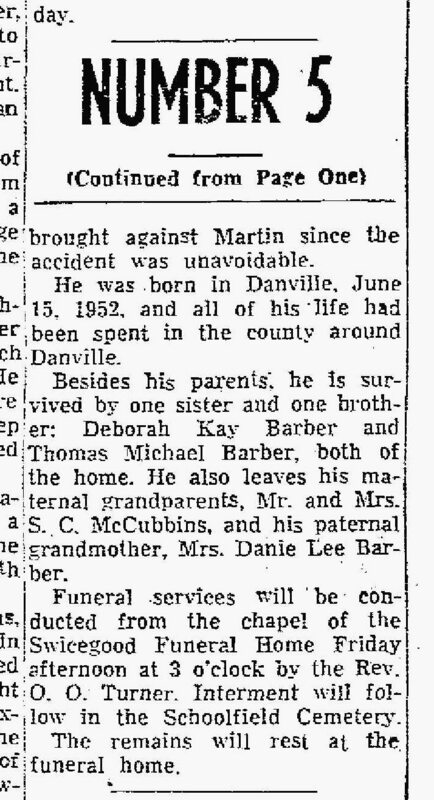 Jerry was four years old on July 4, 1956 when his family went to have a picnic near Lover’s Leap along the Blue Ridge Parkway, like so many people (myself included) continue to do each year when the weather is nice. Jerry’s mother wanted to take a photo of him against the beautiful mountain backdrop & had just released his hand when he ran into the side of a car, which was in motion at the time. Within the hour Jerry was dead.